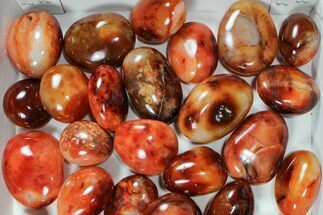 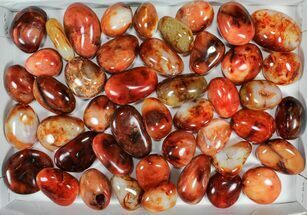 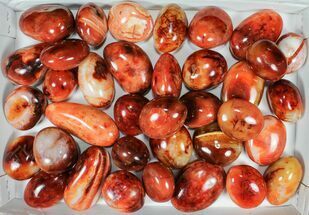 This is a wholesale box of 12 kg (26 lbs) of high quality, polished carnelian agate "pebbles" from Madagascar. 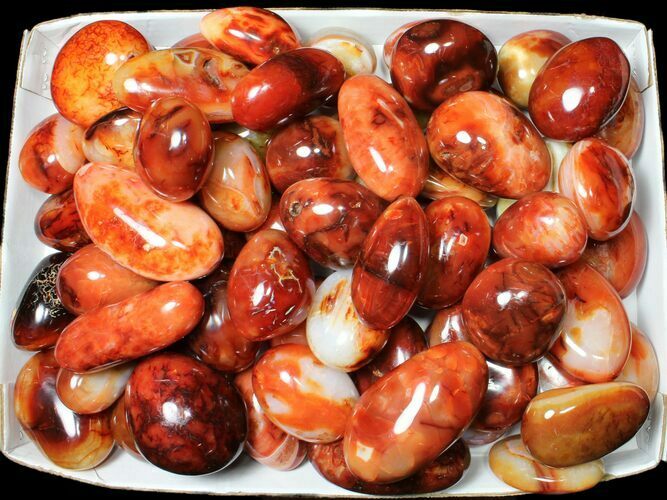 The color of carnelian can vary greatly, ranging from pale orange to an intense red coloration. 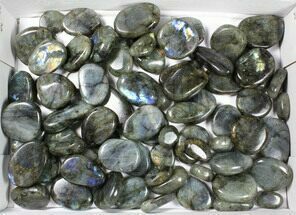 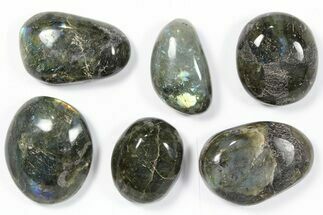 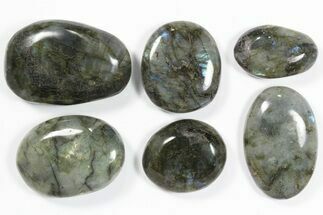 Most of the pieces in the box range from 2 to 3.5" wide with the majority being in the larger size of the range.